How Does Prewrap Tape Help Gymnasts? 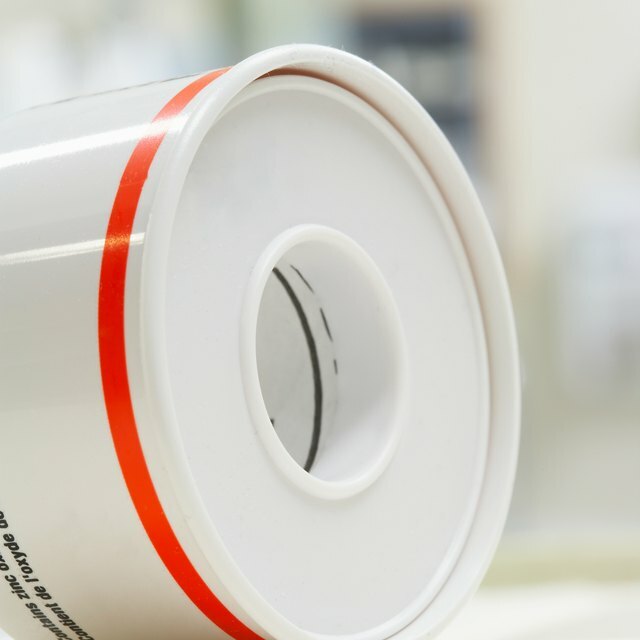 Zinc oxide tape is an adaptable tape with many great benefits. 3 How Does Prewrap Tape Help Gymnasts? Zinc oxide tape is widely used in sports to prevent injuries, protect wounds and help cuts and scrapes heal quicker. A nonstretch cotton or rayon tape, it is made with a zinc oxide adhesive and is designed to be worn for a long period of time. This type of athletic tape is skin-friendly, easy to tear and cheap. It is used for a variety of injuries and in the management of soft tissue wounds. Zinc oxide tape is a favorite among athletes, sports trainers and heath care professionals. Beyond being used for injuries and to help wounds heal faster, it works well to help prevent blisters and treat burns. For certain injuries, zinc oxide tape should be applied around the joint area, not the muscle. This will allow the blood flow to continue uninterrupted. Zinc oxide tape is nonelastic and readily conforms to the area you are applying it to. It stays in place for long periods of time and is not affected by moisture or humid conditions. A versatile tape, it can be used for emergencies or for preventative measures. Allsport Medical: What Is Zinc Oxide Tape? What Kind of Solvent Should be Used When Putting Grips on Golf Clubs?